Home / Essays. / Honours 3rd Year / John Donne / Poetry / John Donne's attitude to Love. 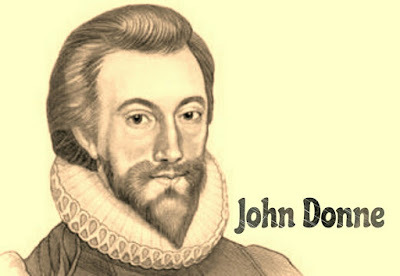 John Donne's attitude to Love. When Donne started writing, Petrarchan lyric writers were writing sonnets based on chivalry and woman worship. The language of Petrarchan love lyric was highly decorative. The poets of the Petrarchan love tradition used to depict a reluctant mistress and a lover who complained with sighs, viws and tears. There was a little attempt to present the real complexities of an emotional relationship like love. Love was then nothing but an adoration of the mistress who was regarded as a goddess. Rejecting Petrarchan love tradition, Donne wrote love poems by intense realism. He brought about a new idea in the conventional love tradition and showed his originality in approach to love. He invented something new in the language as well as the theme in love poetry. Thus, Donne departed from the Petrarchan love tradition and helped to establish a new school called metaphysical school of poetry. Most original contribution of Donne in love poetry is the blending of thought with imagination, passion with intellect. 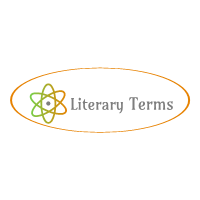 This intellectually is expressed in the conceits he uses in his poetry. The conceits are based on the similes and metaphors drawn from all the branches of knowledge such as theology, cosmology, philosophy, medicine, chemistry, law etc. The Elizabethan lyrists used the conventional physical comparison. But Donne used scholastic and fanciful comparisons. He compared two lovers to a pair of compasses in “A Valediction: Forbidding Mourning”. Donne's love poems covers a wide range of feelings from extreme physical passion to spiritual love, and they express varied moods ranging from cynicism and contempt to one of faith and acceptance. His emotions are not bookish but rather deeply rooted in his personal experiences. First, cynicism as we find in the song “Go and Catch a Falling Star”. Secondly, the strain of conjugal love in the poem like “A Valediction: Forbidding Mourning”, addressed to his wife, Anne Moore. Thirdly, the Platonic strain of love as in “The Canonization” in which love is treated as a holy passion. The Petrarchan poets sang about the pains and sorrows of love, the sorrows of absence, and the pains of rejection by the cruel mistress. But in Donne's poetry, love is considered to be mutual and self-sufficient. Further, Donne's treatment of love in both sensuous and realistic. Love merely of the body is not love but lust. But at the same time he is realistic enough to realize that it cannot also be of the soul alone. It must partake both of the soul and the body. One of the striking qualities of Donne is his use of language. Discarding ornamental and artificial language of the Petrarchan poets, he uses colloquial speech and often gives it a dramatic form. This dramatic quality of his love poems enforces the passion of his love. To conclude, we can say that, the dominant note in Donne's love poetry is neither sensual passion, nor gay and cynical wit, nor scorn and anger. In fact, his love poetry deals with the infinite quality of passion. His greatness as a love poet lies in the fact that his experience of passion covers a wide range from its lowest depth to its highest reaches.